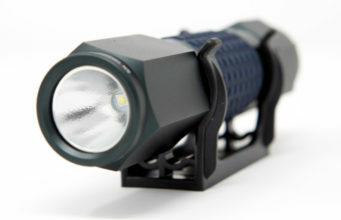 Flashlights that perform more than one function often fall into the ‘jack of all trades’ category. They’re kind of alright, but you wouldn’t necessarily pick them as the ideal solution for any situation. The Ingear AutoXscape 1 might just make you rethink that logic. Imagine the scene: it’s a cold, dark, wet night. You’re driving nicely along the highway when suddenly you hit a patch of ice, skid off the road and end up upside in a field, dangling from your seatbelt. The door is buckled and won’t open, but that hardly matters as the seatbelt release is jammed and you can’t free yourself. Not a pleasant situation for anyone to be in. But that’s exactly the scenario the AutoXscape 1 wants you to picture. 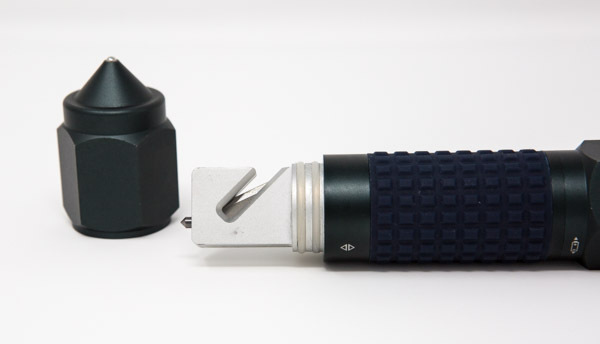 Because it’s exactly the scenario where this flashlight/emergency tool comes into its own. 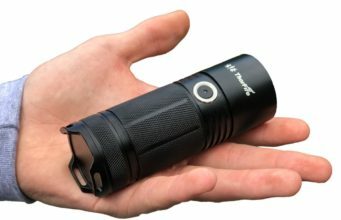 The flashlight itself is a decent, well-designed unit. 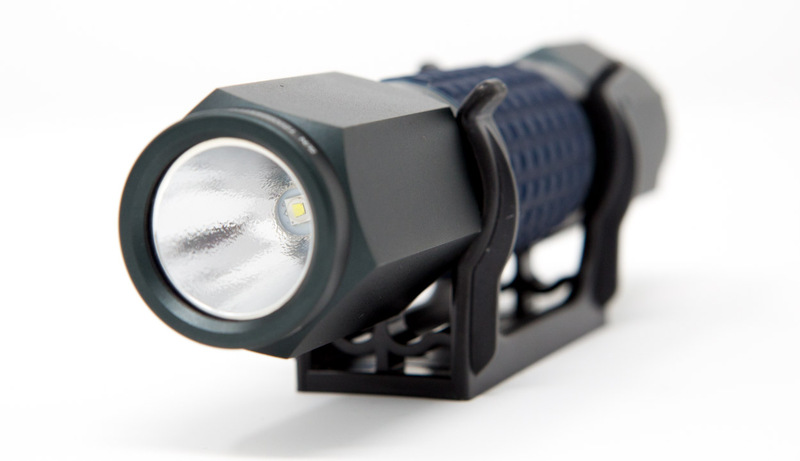 Featuring a Cree XP-E2 LED, it offers three modes: 135-lumen high power, 50-lumens low power, and SOS. You cycle through the modes one click at a time on the rubberised on/off switch, with the fourth click turning the light off. To turn it off from a particular mode, press and hold the switch for one second. It’s simple and effective, which is exactly what you want for something that won’t be in everyday use. When you first pick it up, you’ll be surprised by how heavy it is. While most flashlights these days are like supermodels on a lettuce leaf diet, the AutoXscape 1 is undeniably beefy. But that’s because it’s intended to get physical in the event of an emergency. 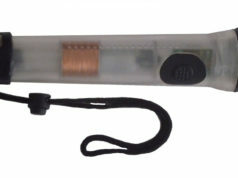 The most obvious emergency tool is the window punch, located on the tail of the light. This is a rounded steel ball that should be sufficient for breaking any car window. However, pull off the tail cap, and there’s more to discover beneath. Inside, there’s a seatbelt cutter and another window punch, this one shaped into a point of tungsten steel. I have to confess I didn’t test out breaking a car window with either punch, but I’ve no reason to suspect they wouldn’t work. I did, however, test the seatbelt cutter, albeit it on some 1″ nylon webbing rather than sacrificing an actual seatbelt from my car. The cutter worked fine, as long as the webbing was pulled taut, which you assume it would be in a crash situation. You need to hold the seatbelt firmly near where you intend to cut. I found a sawing motion worked best on the webbing, and Ingear recommend you cut at a diagonal angle, which certainly worked fine on the webbing. 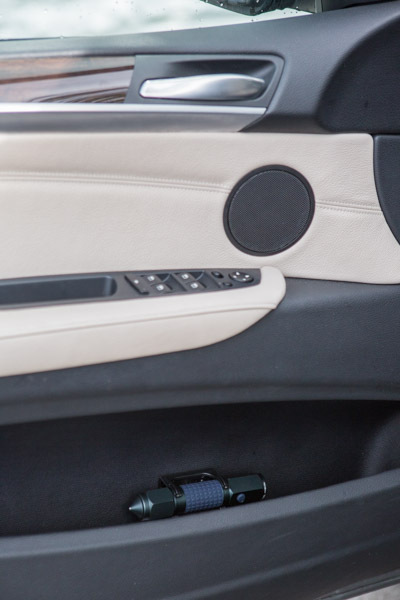 Of course, an emergency tool is no use if it’s not within arm’s reach in a crash, which is why the AutoXscape comes with a mounting bracket so you can position it in your car so that you can easily reach it when it’s needed. The bracket comes with an industrial-strength adhesive pad for mounting it to your vehicle, and there are also a couple of mounting screws if you want to do something a little more permanent. The flashlight itself feels like a very well-engineered piece of kit. 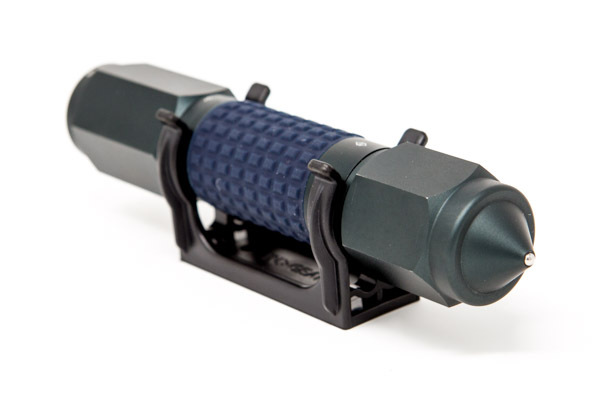 It’s made out of military-grade aluminum, with a very comfortable knurled rubber grip around the center section. It’s fully waterproof (IPX7) and impact resistant up to a 1-meter drop. 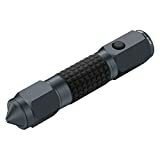 Power comes from three supplied AAA batteries, which are loaded into a battery tray that slides into the main barrel of the flashlight. It comes in two color-ways: grey/black or grey/blue. Frankly, it doesn’t matter which you choose. This isn’t a fashion item; it’s something to store safely in car and forget about until the unfortunate day when you need it. Your main wish when buying the AutoXscape 1 is that you’ll never have reason to use it. It’s not intended as an everyday carry or for taking on a camping trip. Stick it in your vehicle, ignore any temptation to take it out and use it, and forget about it until the time it could actually help save your life. You’ll be glad you did. 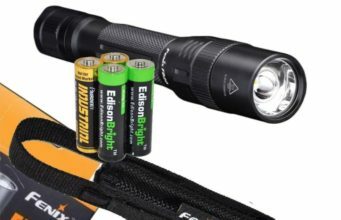 For more suggestions on tools that may save your life, check out our guide to the Best Hand-Cranked or Survival Flashlights. 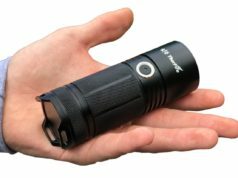 Not an everyday carry item, but an invaluable emergency tool that could one day help save your life. 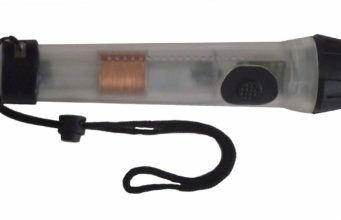 Previous articleWhat is a Faraday Flashlight?